Raining up a storm outside today thanks to tropical storm Nate, so I’m inside catching up on mail and doing a bit of online shopping at my favorite stores. 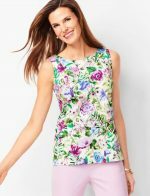 Talbots is having a killer sale right now, ends tomorrow so thought I’d share it now in case you are interested. It’s 40% off any regular priced item with the code OCT40 and 25% off everything else. Here are a few of the items I’m eyeing to use the 40% off code on. 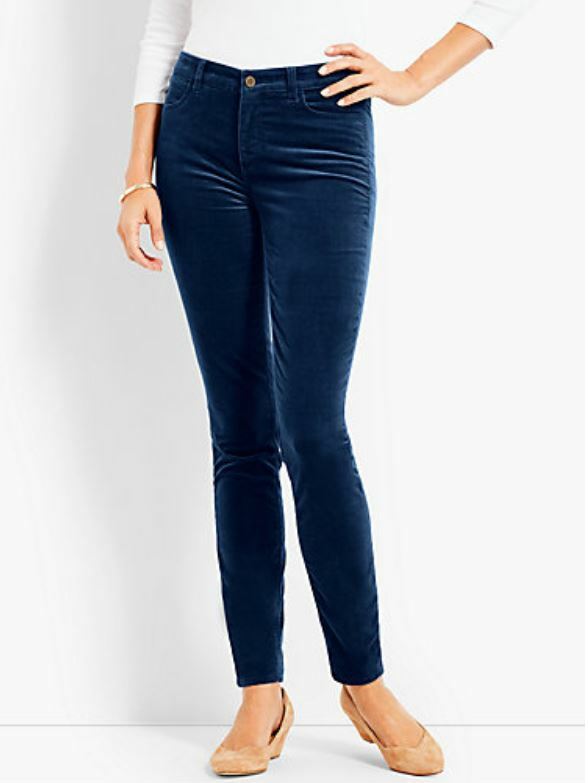 Love these velveteen jeggings! I have their regular jeggings and practically live in them. These would be really cute for winter. They are available here: Velveteen Jeggings. Haven’t bought the fox sweater or this cute jacket yet, but not sure how much longer I can resist. lol My friend, Susan, bought the sweater and was singing its praises in a recent email. Jacket is available here: Jacket. Sweater is available here: Fox Sweater. 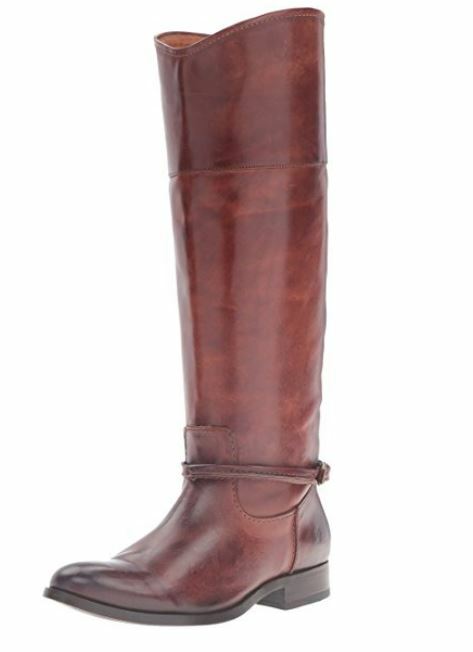 The last item I’ve been eyeing at Talbots are these beautiful boots! I love the color and the tassel detail! You’ll find them here: Riding Boots. One more boot that I’m currently eyeing…love the style with the button! It’s available here: Boot. 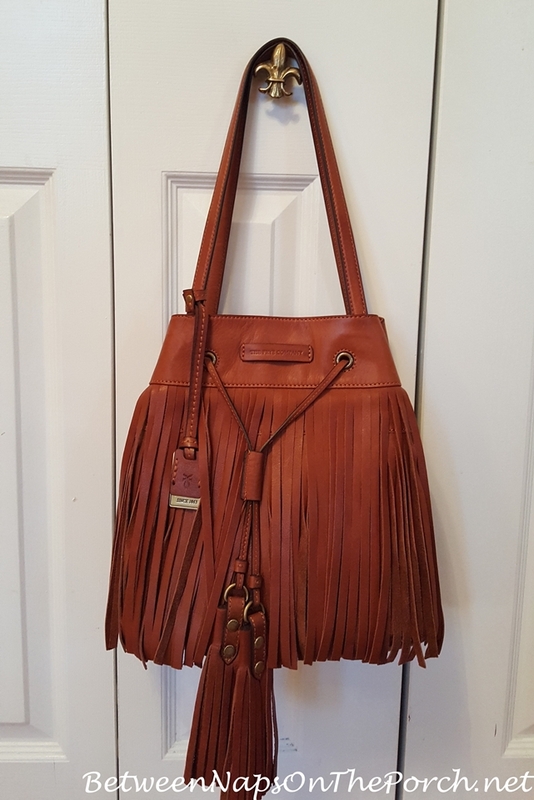 I have been wishing for a while now for a pair of boots to go with this Frye Fringe bag that I purchased a few years back. A couple of days ago I ordered the boot shown below. I couldn’t decide between the colors, Brown and Cognac, so I actually ordered it in both colors. I’m going to return one after I see them in person since returns are free. You’ll find this Frye boot available in seven colors here: Frye Boot. Update: Just found out this boot is also currently on sale here in two colors: Frye Boot. It was so hard choosing a color. I also liked Slate and Caramel. 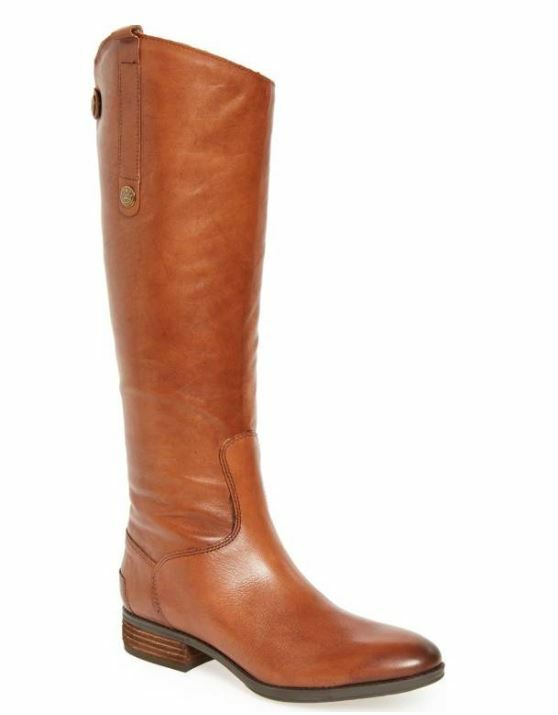 If I don’t like them once they arrive, I think I’ll order the Talbots riding boots above. Arggg, love them both! L.L. Bean is having an awesome sale right now as well. I ordered this adorable Fair Isle Sweater and got 20% off! I love green and blue together and love the Fair Isle design, so had to add this cute sweater to my winter wardrobe. You’ll find it available here: Fair Isle Sweater. Don’t forget to use the code FALL20 for 20% off. 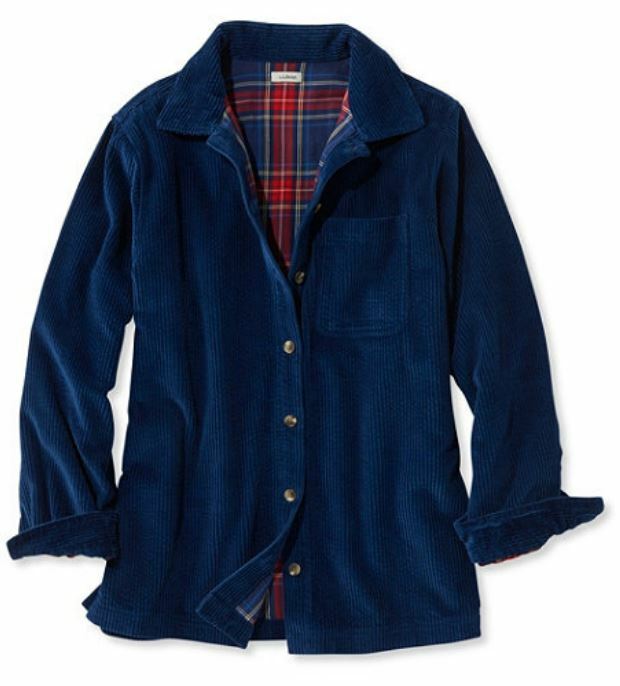 I ordered a few of their plaid shirts and couldn’t resist this cozy, corduroy shirt-jacket. It just looked so plush! Again, I got 20% off with the coupon code, Fall20. You’ll find this shirt-jacket available here: Corduroy Shirt-Jacket. These are all due to arrive this week, can’t wait to get them. Now I just need some actual fall weather so I can wear them! lol Remind me I said that in January when I’m freezing my tush off! Rain is bad for us. I have been doing some online damage also. I like the Frye boots the best – there’s just something about Frye that is forever appealing. They’re very rich in detail. Cute fox sweater! Thanks, Rita! I hope I like these, thought they would be really cute with jeggings. I love it when you shop, cause you do half the work for me. Thanks Susan and have a great evening. Have you actually gotten the riding boots? I like them okay, but the color really is chocolate, not the red brown they show on my monitor. No, I was going to see how I like the Frye boots and then order them if the Frye doesn’t work out. My bag is more of a chocolate brown I think, so that might work okay. I shopped that Talbots sale this morning. I ordered loafers in Indigo, short boots in blue suede, some jewelry, and another classic fit shirt in yellow and blue check. I have the classic fit shirt in the dachshund print and I love it! Love that fox sweater- saw it at the store and it is so cute! 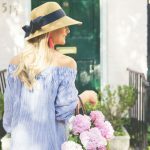 All these cute clothes and I’m trying to be so frugal–curses! Thanks for all the sale info. I ordered from LLBean yesterday using the 20% off code and earned a $10.00 Gift Card. Now that you have shown us the rich looking Shirt Jac, I decided to order that. I was a little surprised to find that the $10.00 gift card is not in effect until 24 hours after it is issued, even though they emailed me the card # and pin# right after my first order was completed. Kind of a strange policy, especially for LLBean. They are one of my favorite places to shop online. Great choices Susan. One of these days, probably a very cold winter day, I will have to force myself to do the dreaded job of cleaning out my closet. Everything is still pretty much organized, but need to go through items I no longer wear, tired of, worn out,etc. I dread it, but once it’s done, always so happy with the results. Good thing we are without power at our house or I would have spend yesterday online shopping too! Susan, I bought that pretty Talbot’s jacket for my mom and some dark brown corduroy pants last week. I’ll get her a sweater from one of the colors on the jacket. Mom and I both love shopping at Talbot’s and their clothes last forever! Plus if you buy navy one year you can rest assured that the navy will match the next year and so on. Now I’m looking for some booties for her too, her request. 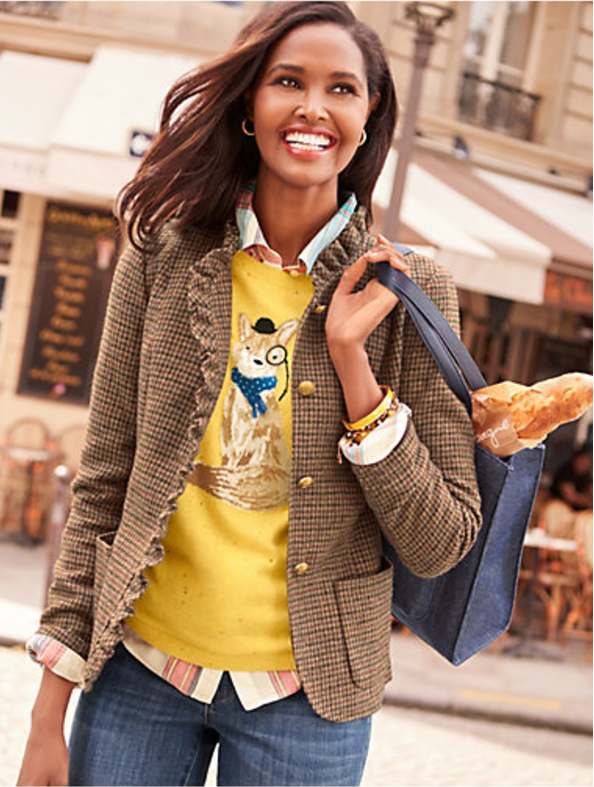 I bought the fox sweater a few weeks ago, but the cute check blazer was too tight in the upper arms for me. I find that quite often with Talbots, and I don’t think I have heavy arms. Boo! It’s been too warm here in Atlanta to wear anything for fall yet. I’m still wearing shorts most days. Susan, Your shopping choices are perfect and make my shopping easier! 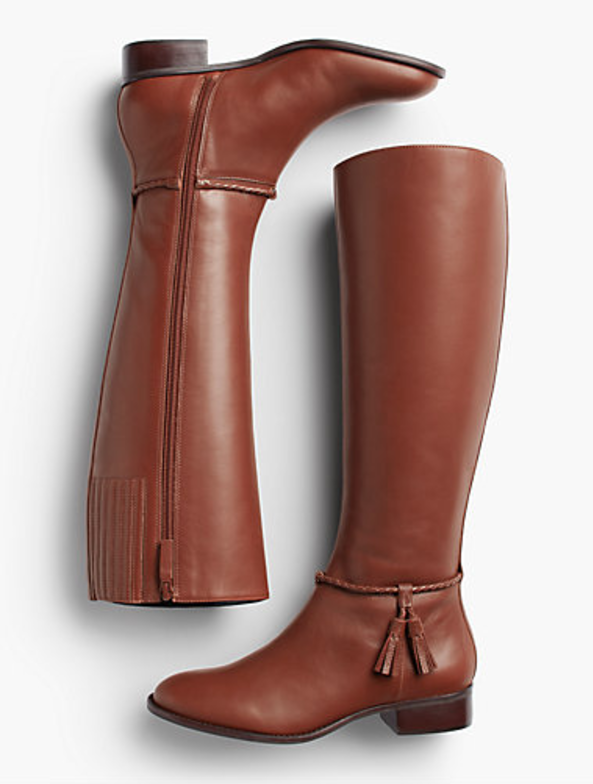 I do see the Frye Melissa Seam boots at Nordstrom for $199. Your blog is fantastic and always interesting! Thanks so much, Kay! Will definitely check out Nordstrom…thanks for that tip! You buy alot of clothes. Do you consign your older clothes from previous shopping? Assuming you do, you need to do a post on “consignment” shops for cleaning out closets. What’s the going rate? What are the steps to getting ready to consign clothes..in’s and out’s. No, I’ve never done that. Anything I’m no longer wearing always goes to my local Goodwill.